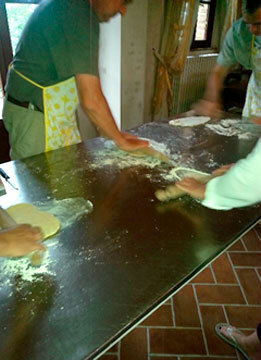 Tuscany is famous worldwide for food and wine and in this tour you could combine both. The tour starts with the visit of a winery, experiencing the process of winemaking, the cellars and the aging process and sample excellent wines. 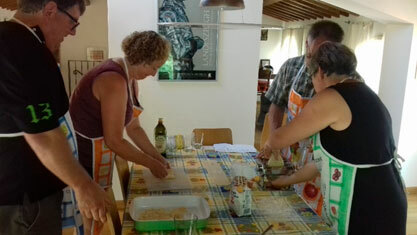 Then we start with the cooking class and you are involved in the preparation of the dishes stretching the fresh dough for your home-made tagliatelle or ravioli by means of a rolling pin or chopping vegetables. The lesson let you learn a lot of tricks about the Tuscan recipes and also about our habits and traditions, not only about food! At the end, an unforgettable lunch, based on the dishes prepared, paired with wine. Don’t lose the opportunity to learn authentic local recipes!